Mitchell Hamline School of Law: visiting assistant professor of law, resident adjunct professor of law, supervising and implementing Legal Assistance to Minnesota Prisoners (LAMP) Clinic, 2015-. 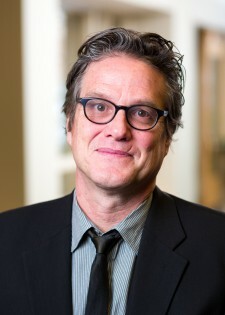 William Mitchell College of Law: visiting assistant professor of law, resident adjunct professor of law, supervising and implementing Legal Assistance to Minnesota Prisoners (LAMP) Clinic, 2003-2015; adjunct and LAMP co-supervisor, 1989-2003. Minnesota State Public Defender’s Office: assistant state public defender, 1985-89, 2003-; managing attorney, 1989-2003. Associate, Smith Juster, Minneapolis, 1987. Bradford Colbert is a resident adjunct professor, teaching Mitchell Hamline’s Legal Assistance to Minnesota Prisoners (LAMP) Clinic and is also practicing as a part-time public defender for the Minnesota Public Defender’s Office. Mitchell Hamline is the only law school to offer the LAMP program, which provides civil legal services to indigent inmates in Minnesota prisons. In 2005, Mr. Colbert received the William E. McGee Public Defender Award of Excellence, which is given to a public defender at the federal, state, or local level in recognition of the person’s commitment and dedication to the job of public defender. Richard J. Carrillo v. Joan Fabian, Commissioner of Corrections – Mr. Colbert argued and won this case before the Minnesota Supreme Court in 2005. The court ruled that a prison inmate has a constitutional right to due process before his prison release date can be extended. Minnesota v. Carter – Mr. Colbert argued this case before the United States Supreme Court.